The one pivotal aspect of being a successful full time prosthetic user is the design and fit of the prosthetic socket. Direct skin fit suction sockets provide the greatest amount of control and integration with the prosthetic limbs. The sockets must capture the exact shape of the residual limbs to insure a globally secure and comfortable fit that can be used for extended periods of time. 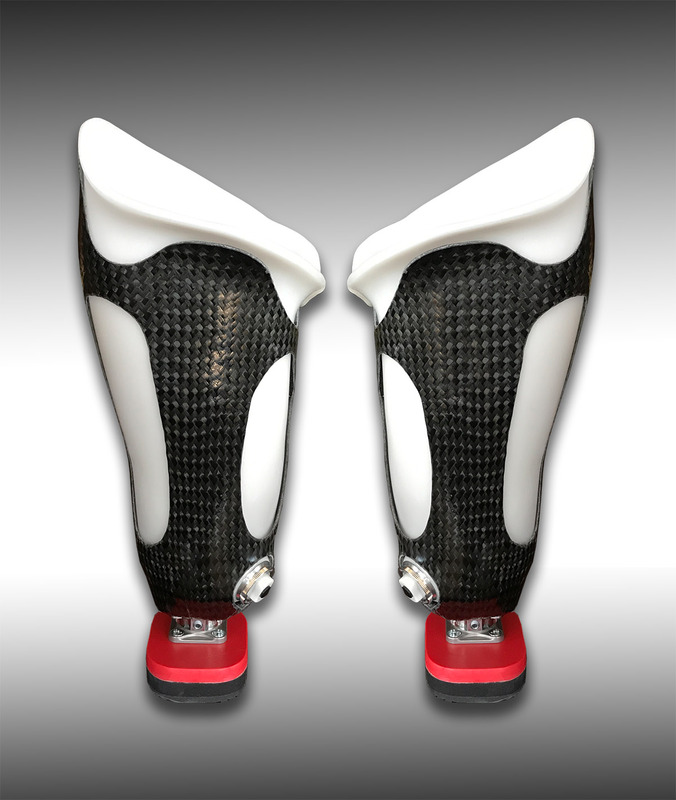 The fit and design of the prosthetic socket is critical to providing comfort and security necessary to allow for fully functional mobility on bilateral above knee prosthetics. A direct skin fit suction socket is preferred when possible to give the user sensory feedback up into their limb. For individuals with knee disarticulations or irregular shaped limbs due to skin and muscle damage, it maybe necessary to use a gel liner over the limb. 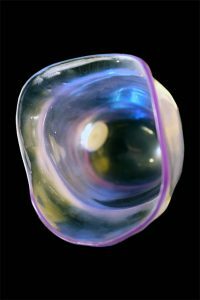 This does reduce the sensory feedback and can provide the patient with a little less control over the prosthesis. 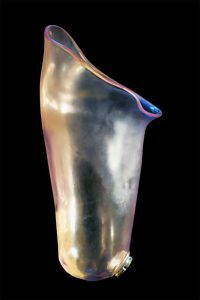 Prosthetic component technology is always evolving. New developments are enhancing the lives of bilateral prosthetic users. The addition of microprocessor control to knee systems allows an individual to become a full time prosthetic user. However, it is important to note that not all microprocessor knee systems provide the same level of function and control. Bilateral above knee prosthetic users need knee technology that will provide consistent stability and reliable support. The latest technology is not necessarily the best solution for a bilateral above knee prosthetic user. Make sure you do your due diligence when considering a prosthetic knee system for use with bilateral above knee limb loss. It is always best to speak directly with several high functioning full time bilateral above knee prosthetic users to get their insight and feedback about a particular prosthetic system before you make your decision. The latest development is not always the most appropriate solution for individuals with bilateral above knee limb loss. With all prosthetic systems, their is always a compromise on many levels. For instance, a carbon foot may provide excellent energy return while walking, but maybe too flexible when trying to stand. Many feet that have a high energy return and provide great flexibility at heel strike when walking, can be too soft when trying to activate the bend of the knee when trying to sit down. 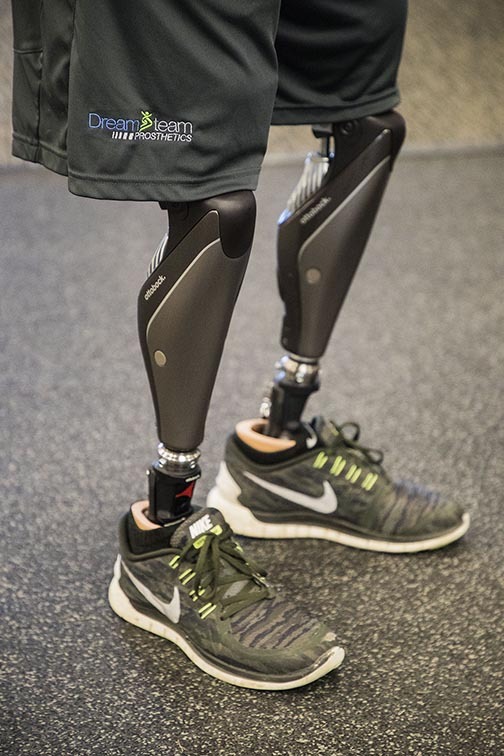 Not all prosthetic technology is "created equal". This also applies to socket design and fitting. Just because you may have had a unfavorable experience with a particular socket doesn't necessarily mean that all similar socket designs are bad. The socket fitting process for an individual with bilateral above knee limb loss requires a prosthetist with a very unique skill set and many years of specific experience and exposure to treatment of bilateral above knee amputees. Remember, making a well educated decision about your prosthetic technology and a prosthetist with the necessary skill and experience will greatly impact your ability and function. You will use the prosthetic technology you select for 3 to 5 years so make sure your choice is the most optimal for your situation. The updated standing lock function of the Ottobock Genium knee is very intuitive and yet very supportive, specifically for bilateral above knee prosthetics users. The knees will "block" in a bent position to allow excellent stability with both knees bent and locked for a variety of uses in daily life. Everyday technology can range a great deal. In the beginning stage, just wearing a socket is critical until you can be fit with training prosthetics. The more you wear the prosthetics the more they will become a integral part of your daily life. Making the commitment to utilize prosthetics each day will greatly accelerate the process of accepting them into your daily routine. Focus on accomplishing daily tasks each day to further your progress. Must successful bilateral above knee full time prosthetic users wear their prosthetics between 8 - 16 hours each day. It takes time to reach the ability to wear the prosthetics for extended periods of time but if you make the commitment to do all of your activities using your prosthetics, will accelerate the process. Many individuals with bilateral above knee limb loss will continue to use a wheelchair part time, however, in most all cases, this philosophy is counterproductive to being a full time prosthetics user. The individuals that have the greatest success with full mobility in their lives have eliminated using a wheelchair or other adaptations completely. Activity Specific Technology can include specially adapted components such as feet and knee systems that have been engineered for a specific activity. For example, the custom designed training feet are very useful in many different situations where it will benefit you to have a lower center of gravity. Many bilateral above knee amputees will use the training feet in the gym for some exercises where balance is necessary. Other activities like rock climbing, hiking and even gardening can be accomplished more efficiently by using the custom training feet.